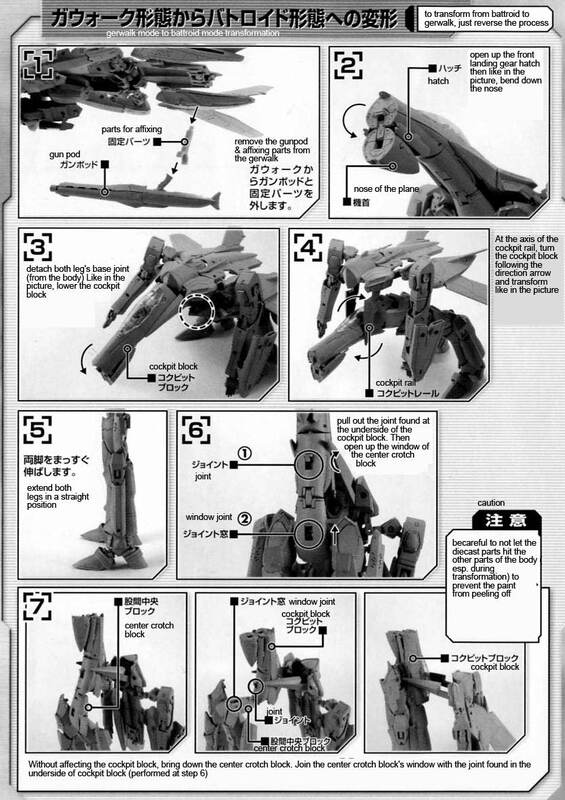 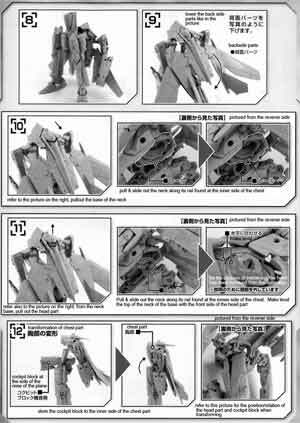 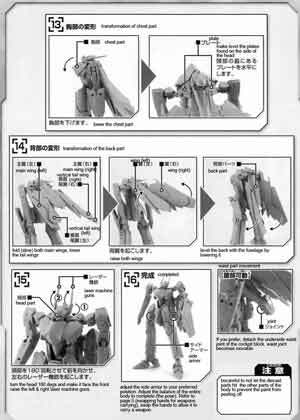 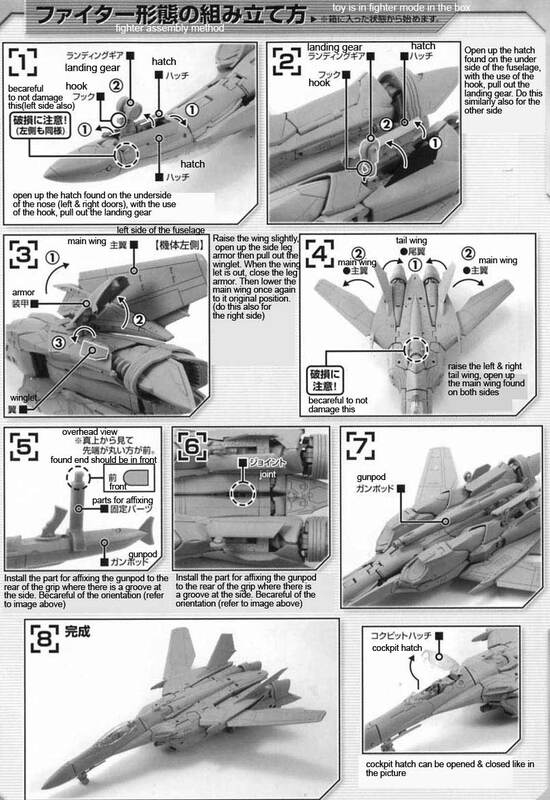 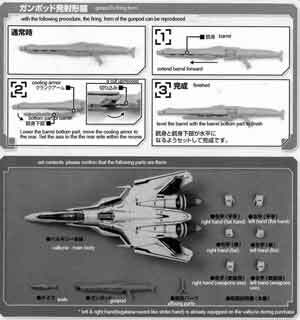 Translated the manual of the recently arrived 1/60 DX Chogokin VF-25F Messiah Valkyrie Alto Custom. 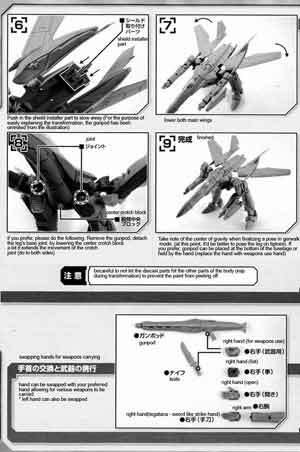 Review of this awesome toy can be found here. 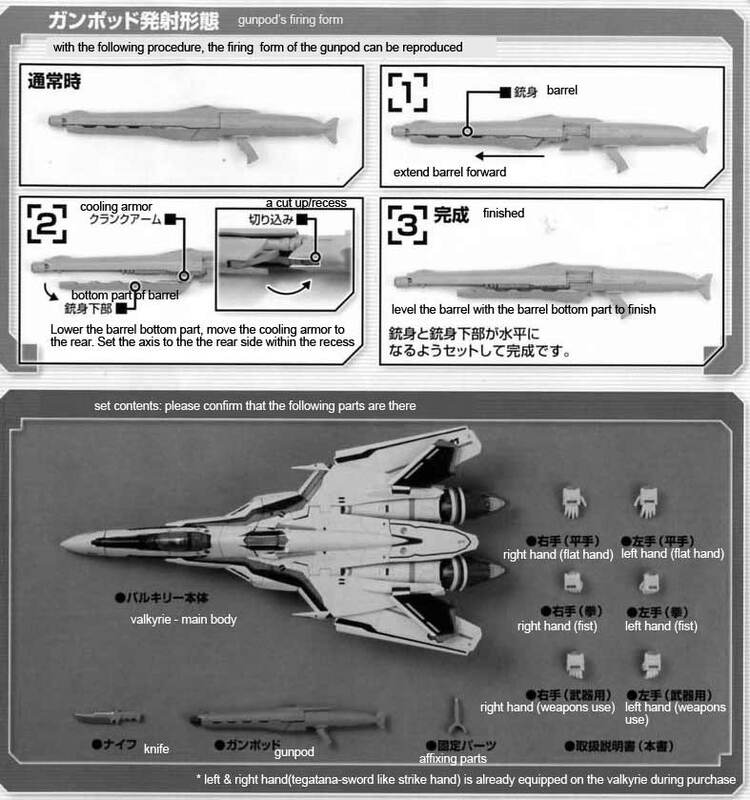 In the Macross Frontier anime, the VF-25F Messiah Valkyrie was initially flown by Skull Squadron member, Guilliam. When he was subsequently killed by the Vajra his VF fighter was taken over by Alto Saotome. 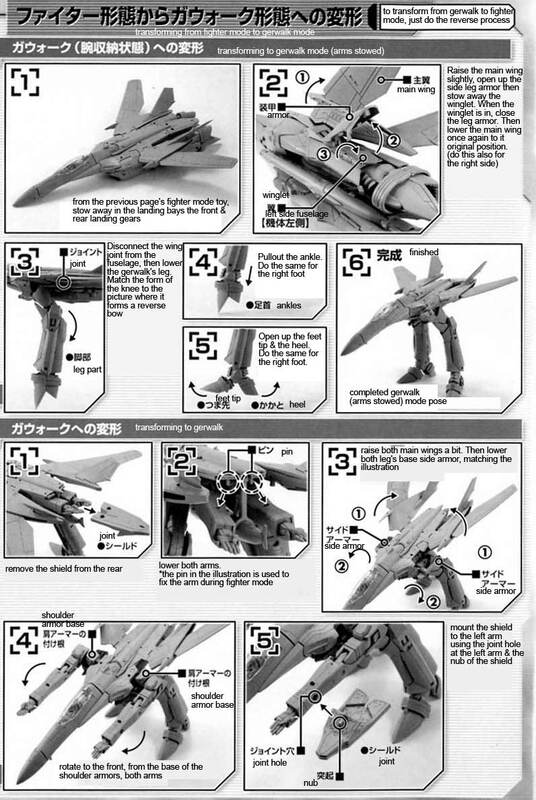 Macross Frontier was the the 25th anniversary anime of the Macross Franchise that originally came out in 1982. 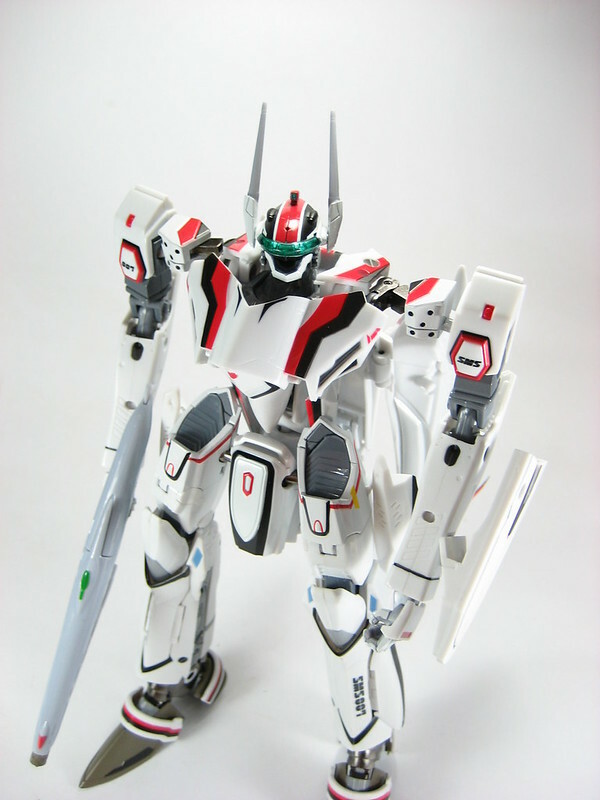 The color scheme (red, black & white) of the VF-25F Messiah Valkyrie of Alto Saotome pays homage to the VF-1S of Hikaru Ichijo in Macross DYRL. Who like Alto Saotome in Macross Frontier, Hikaru Ichijo was the series protagonist in the original SDF Macross anime and Macross DYRL movie.